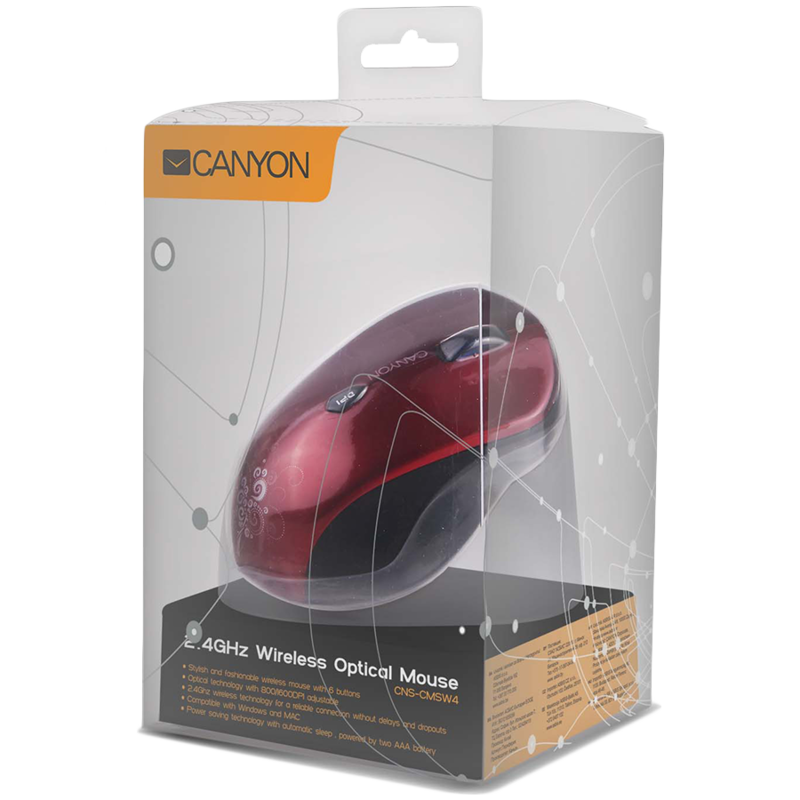 Our mouse in the transparent"360 View" box and delicate design will give you feeling of airiness. This wireless mouse is controlled by 6 buttons for sensitive switching, 2 of which can be programmed. Two batteries of AAA class will let it reliably run up to 6 month thanks to power saving technology. It has additional On/Off switch and resolution up to 1280 dpi. Performed in deep soft colors.